Perhaps you've had a tough week? Before dawn on 19 March 1945 Franklin who had maneuvered closer to the Japanese mainland than had any other U.S. carrier during the war, launched a fighter sweep against Honshu and later a strike against shipping in Kobe Harbor. Suddenly, a single enemy plane pierced the cloud cover and made a low level run on the gallant ship to drop two semiarmor piercing bombs. One struck the flight deck centerline, penetrating to the hanger deck, effecting destruction and igniting fires throughout the second and third decks, and knocking out the combat information center and airplot. 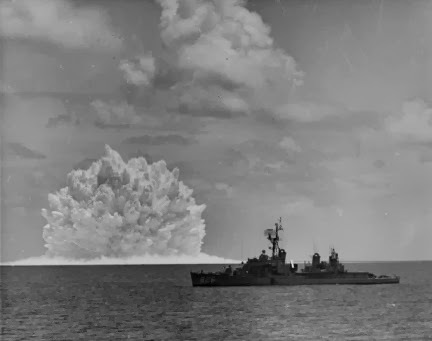 The second hit aft, tearing through two decks and fanning fires which triggered ammunition, bombs, and rockets. Franklin, within 50 miles of the Japanese mainland, lay dead in the water, took a 13 degree starboard list, lost all radio communications, and broiled under the heat form enveloping fires. Many of the crew were blown overboard, driven off by fire, killed, or wounded, but the 106 officers and 604 enlisted who voluntarily remained saved their ship through sheer valor and tenacity. The casualties totaled 724 killed and 265 wounded, and would have far exceeded this number except for the heroic work of many survivors. Among these were Medal of Honor recipients, Lieutenant Commander Joseph T. O'Callahan, S.J., USNR, the ship's chaplain, who administered the last rites, organized and directed firefighting and rescue parties, and led men below to wet down magazines that threatened to explode, and Lieutenant (junior grade) Donald Gary who discovered 300 men trapped in a blackened mess compartment, and finding an exit returned repeatedly to lead groups to safety. Santa Fe (CL-60) similarly rendered vital assistance in rescuing crewmen from the sea and closing Franklin to take off the numerous wounded. Franklin was taken in tow by Pittsburgh until she managed to churn up speed of 14 knots and proceed to Pearl Harbor where a cleanup job permitted her to sail under her own power to Brooklyn, N.Y., arriving on 28 April. Following the end of the war, Franklin was opened to the public for Navy Day celebrations and on 17 February 1947 was placed out of commission at Bayonne, N.J. On 15 May 1949 she was reclassified AVT-8. From the folks at PeriscopeFilm. So, it's one of those days. You at are work and there's a storm blowing in. You tune into the radio and there is an announcement that the school system is closing your child's school 3 hours early. Your boss decides to close the office early. Suddenly everyone one is trying to crowd onto the highways all at once. A couple of wrecks later and some snow and ice fall later, well you are stuck in the middle of an Interstate highway with no possible exit and miles from . . . anywhere. Help can't get to you because the roads are . . . blocked. You might be there for a couple of days. 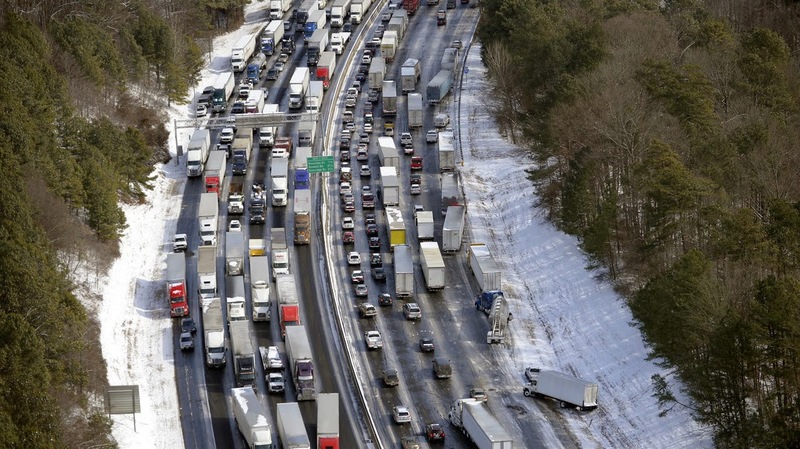 Heck of time to find out you really should have packed that mobile disaster kit in the car. You know, the one with blanket or sleeping bag, a couple of days worth of food, some water, hand warmers, flashlight, a book you bought at the second hand book store, cell phone charger, baby wipes, trash bags, toilet paper, etc. Or like this one that Allstate suggests. You know, it just could happen. A "faked" pirate attack off Angola? Or perhaps not . . . The Angolan navy and air force is hunting suspected pirates after an oil tanker went missing in its waters. Navy Captain Augusto Alfredo told the BBC that an unknown vessel had been seen near the Greek-owned 75,000 tonne MT Kerala as it lay off Luanda's port. But he said he could not confirm it was a pirate attack, which would be the first in the country's waters. A fuel tanker is suspected to have been hijacked by pirates off the coast of Angola, the ship's owners said on Wednesday, in what would be the most southerly attack to date by pirates off West Africa. The 75,000 deadweight tonne Liberian-flagged fuel tanker MT Kerala lost contact with its Greece-based owner Dynacom on January 18. The ship was last seen around seven nautical miles from the Angolan capital Luanda, according to a security source. "It is suspected that pirates have taken control of the vessel," Dynacom said in a statement, adding it had no confirmation. 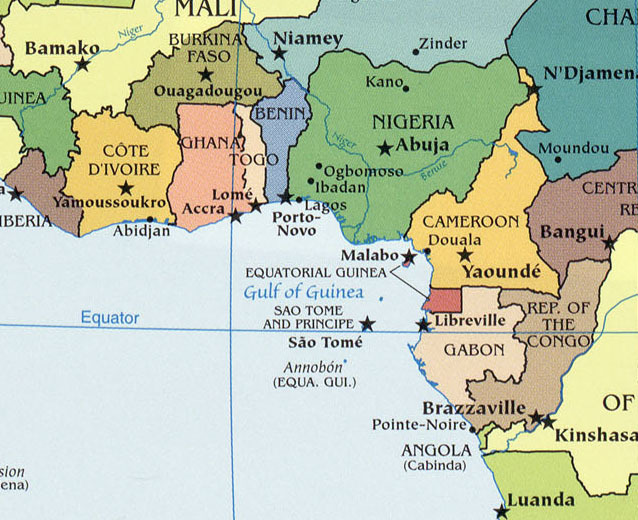 If true, it would be hundreds of miles (kms) further down the coast than the previously most southerly reported attack, when pirates hijacked a tanker off Gabon last year. They were suspected of siphoning oil from the vessel. One security source said the MT Kerala was loaded with gasoil. Angola's navy said on Sunday the crew of an oil tanker that vanished off its coast on January 18 had turned off communications to fake an attack, seeking to calm energy sector fears that the vessel had been hijacked by pirates. Unconfirmed reports that the tanker had been seized raised concern that piracy off West Africa was spreading south from the Gulf of Guinea, near Africa's biggest oil producer Nigeria, where most hijacking gangs are believed to originate. Captain Augusto Alfredo, spokesman for the Angolan navy, said the missing Liberian-flagged MT Kerala has been located in Nigeria and that reports of a hijacking were false. "It was all faked, there have been no acts of piracy in Angolan waters," he told Reuters. "What happened on January 18, when we lost contact with the ship, was that the crew disabled the communications on purpose. There was no hijacking." Alfredo declined to comment on how the navy had established the behaviour of the MT Kerala's crew, saying only that other authorities may provide further details later. The Greek owners of an oil tanker that vanished off the Angolan coast on Jan. 18 said on Sunday that pirates had hijacked the vessel and stolen a large quantity of cargo, contradicting the Angolan navy's denial that such an assault took place. Greece-based Dynacom, owners of the 75,000 deadweight tonne Liberian-flagged tanker MT Kerala, said it had managed to contact crew on the vessel who reported the pirates had left. "Pirates hijacked the vessel offshore Angola and stole a large quantity of cargo by ship-to-ship transfer. The pirates have now disembarked," the company said in a statement. It did not provide any further details on the attack or the ship's current location but added that all crew were safe. Dynacom's version of the events contradicted an account from the Angolan navy, which alleged the crew had turned off the ship's communications to fake a pirate attack. Sooooo .... a crew that hijacks its own ship commits an act of piracy, if the hijacking took place on the high seas. If it took place, say, in Agolan waters - well, perhaps it is grand theft or something. And if the ship then was moved to Nigerian waters? Well, there will be some fun sorting all of this out. As with many odd sea-related events, the question of most concern is where the insurance, if any, comes into play. Navy Target Practice? or "Cannibal Rat-Infested Ghost Ship Headed For The UK?" Yahoo report: Cannibal Rat-Infested Ghost Ship Headed For The UK? The abandoned Russian cruise liner, named Lyubov Orlova, has been missing since it was cut loose while being towed from Canada almost a year ago. There had been fears that winter storms could have been pushed it across the Atlantic Ocean and towards the UK. But coastguards have reported no sightings. A spokesman for the UK Maritime and Coastguard Agency said: "We have received no reported sightings of the vessel since April last year, but we will respond accordingly." Sounds like the time to unlimber some naval guns and torpedoes and put this thing down if anyone can find it. Made by the U.S. Navy at the height of the Cold War, this informative film chronicles the history of the Soviet Navy from the Czarist era through WWI, the Revolution, WWII, and the Cold War. The film begins with shots of the helicopter aircraft carrier Moscow / Moskva on its maiden voyage in the Mediterranean Sea in 1968. The Kashin class guided-missile destroyers, the world's first major ships built with gas turbine propulsion, are also shown along with Soviet nuclear submarines. These sophisticated warships are seen to epitomize the Soviet naval threat to the West. . .
Well, I read a lot of truly dumb stuff, but this piece of - um- work by Dr. Craig Hooper, DOD TOPGUN Fights For Navy To Fight Like It Is 1986, is almost too silly for words. In may be technically accurate to say the LCS is not defenseless, but that is all. SeaRAM has a range of 5 nm. Foreign navies operate without air coBy way of comparison, Australian FFG-7, using that obsolete Mk 41 VLS carries ESSM with a range of 27 nm. Which would you prefer? Taking the comparison further, the FFG-7 also has a bigger gun (very passé) as well as carrying Harpoon. Harpoon’s 67nm range is also a lot bigger than the LCS anti-surface module’s Griffin or Hellfire range of about 3 nm. Which would you prefer? VLS may date from the eighties, but the missiles it carries do not. That’s one of the central advantages of VLS. You can easily upgrade (i.e. it is modular) the missiles. Unfortunately, LCS is too small to carry it. Lockheed or Raytheon I am sure would be more than happy to try and invent a smaller, lighter, but more powerful missile to squeeze onto an LCS. Given enough time and money this magic missile might eventually materialize. Smaller missiles have smaller amounts of propellant and smaller warheads. It is physics. 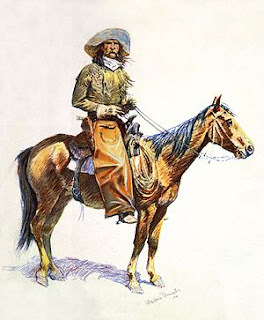 BTW, a technical point, all modern guns are breechloaders. Being a breechloader has nothing to do with the argument surrounding the efficacy of large caliber main batteries vs carrier aviation. No reporting that I have seen, certainly not the Navy Times article, has said anything to back the hysterical comment that the Navy is abandoning rail guns and lasers. The LCS does not have the space or power margins for either of those systems. The Freedom variant has already had weight and stability issues that required bolt-on buoyancy fitting at its stern. The Independence variant cannot even accommodate a 76mm gun, so in what reality would a railgun be squeezed in? Furthermore, neither variant has an integrated power system that would be key to energy based weapons, only a DDG-1000 currently has that. Perhaps the real story is that OSD finally threw the BS flag on buying upgunned Coast Guard cutters to form 1/6 of the fleet. If modularity and affordability are the goals, and laudable ones at that , look at the Danish STANFLEX system. STANFLEX was developed in dreaded 1980s, but it works and module swaps are a lot faster than those conceived under LCS’ reported CONOPS. The LCS is an example, like the JSF, of acquisition mal-practice. The Navy attempted to cross a frigate replacement with the Street Fighter concept mixed a little Rumsfeld transformation secret sauce to create two ships designs that can hunt pirates and make nice with small navies. Hardly key components for the battle fleet “pivoting” to the Pacific. I am always amused at how the advocates for a robust Navy always seem to forget logistics. They always come at you with a laundry list of cool stuff, but those peksy mundane (and vital) things like, oh, T-AO(X)s or the need for wide-ranging diplomatic support or wider presence never seem to get on the list. Look, banging stuff up from an awesome, horribly-beweaponed cruiser is great fun. I’d love to have a Navy you describe. But, unfortunately, a lot goes into supporting the pointy end we both love. Golly gee, Dr. Hooper, I guess the LCS, being "horribly un-beweaponed" is a marvel of not needing logistics because of it long sea legs and ability to change modules at sea? If we are going to drag along at 10 knots to get better mileage, we wasted a heck of a lot of money creating a ship that can do 40 knots. Which is, after all, just a little faster than an old style Fletcher-class destroyer, except the Fletchers and the follow-on Gearings out gunned the LCS, carried torpedoes, had indigenous sonar and could operate UAV's from their FRAM'd flight decks. Of course they were designed 60 years ago, so you've got that going for you. Further, suppose your LCS is rigged for mine ops and you discover a sub threat? Are you gonna go back home for the ASW package? 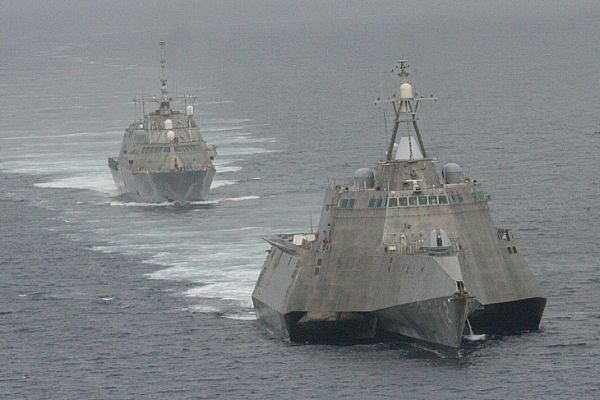 Send out another LCS with the ASW package? And what on earth does this mean, ". . .the need for wide-ranging diplomatic support or wider presence never seem to get on the list." It seems to me that diplomatic support is on every nice to have Navy list I've ever seen - except we once had a Navy that could cut itself free from foreign shores even when we didn't have that support. In fact, It still can, so long as we have the logistics train to support it. What we did was we transferred that logistics support force to MSC, which has done a bang up job. I have no idea what "wider presence" means in the context you used it. “One of the things the CNO said the other day is one of the things the LCS can do is help prevent warfare,” Mabus said – by doing the day-to-day work of maritime policing and partnership building in accordance with the new global strategy, for example. 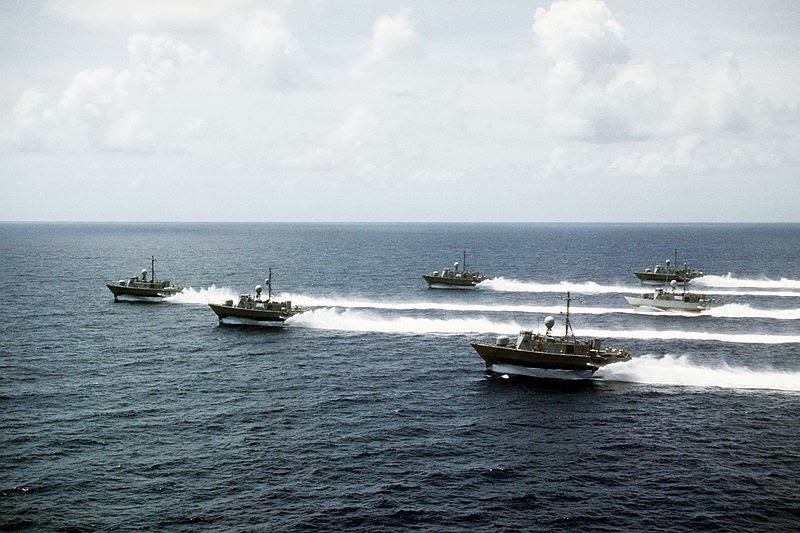 But, he went on, “if there is a war, we aren’t going to have the LCS out there by itself.” Other, more robust vessels can provide cover against enemy warships, cruise missiles, and aircraft while the LCS conducts its specialized shallow-water missions sweeping mines, hunting submarines, or fending off swarms of small boats. Well, hell, under those conditions, I could send a pontoon boat to sea for "policing" and "partnership building." However, if the balloon goes up, I like something a little more "beweaponed" and a little more robust under my feet. *In fact, 1986 was a relatively peaceful year. If any warship ever was designed to operate in such relatively benign period, it's the LCS. 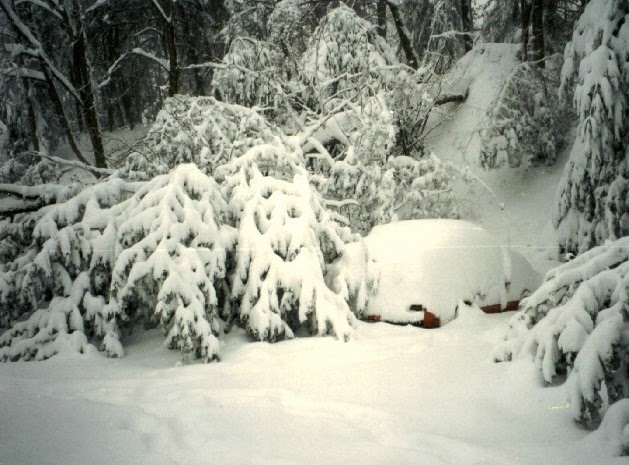 Back in the olden days, the Little House on the Prairie The Long Winter days, when what we used to call a "blue blizzard"* could sneak up on you, you really had to make sure you had a good emergency kit to tide you over in car or home until the weather changed or help arrived. More info here. Look out for your elderly neighbors, too. Clearing an older person's driveway, sidewalk and doorways may be a life-saver. *A blue blizzard in my Western vernacular meant usually the day started with bright sun and then a blizzard storm front would blow in "without warning." 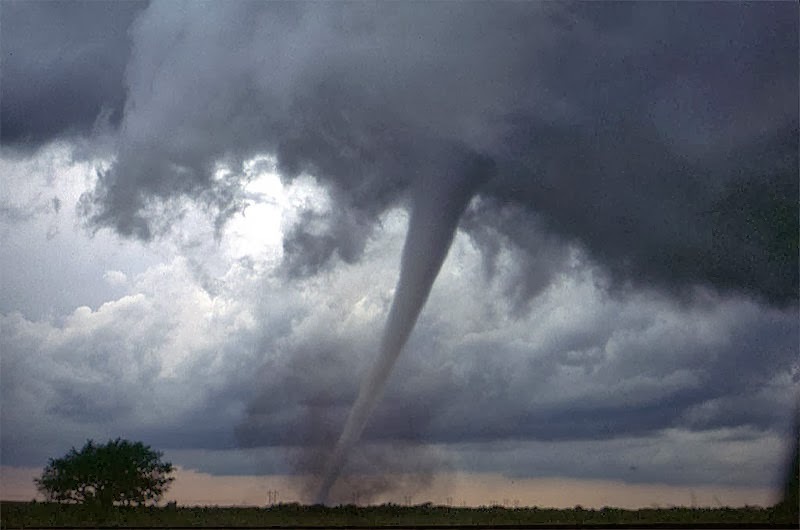 Now the NOAA weather service, Weather Channel and the local weather guessers who read NWS warnings pretty much let you know well in advance about the possibility of dangerously bad weather coming at you. Autonomous vehicles cooperating across various ocean depths will be useful for real time hydrography and to characterize acoustic propagation - a critical factor in antisubmarine warfare. Mine countermeasures is another obvious mission, along with autonomous swarmed attack against surface or sub-surface platforms. Ah, the possibilities. A lot of problems in the inshore areas might be addressed using this concept. Green range, as it were. As usual, you can join us live or download the show for later listening here. By the way, did you know it is possible to watch football with the sound on mute? Why we have a Navy - as described in 1968, but timeless in import. ". . . [T]his free world alliance must be stitched together with ships . . .
"Often as not, the overt expression of the United States' intent was those steel gray ships that took station on the horizon . . ."
The current question is how much Navy is enough to to the job. 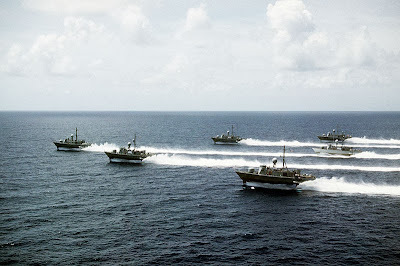 Monday Second Guessing: "Hydrofoil Development by the United States Navy"
Okay, back in the days before we decided "payloads" trump "platforms" somebody saw the need for small, high speed, heavily armed (per their size) ships to fight in the littorals or in island chains. Now, just suppose we'd decided not to kill these programs? Where would we be? Where could they have been useful? Where could we use them now? 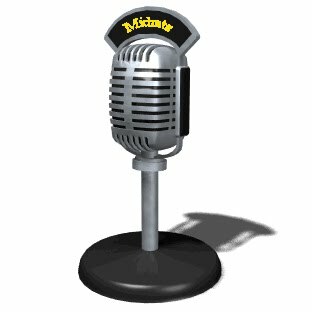 Well, we had a little trouble with the technical side of live podcasting last week (and, as my old Macintosh computer used to say, "It's not my fault") but CDR Salamander and I are, if nothing else, persistent. So please join us on Sunday, as we fight with electrons and, uh, other things in our presentation of Midrats Episode 210: "John Kuehn and Joint Operations from Cape Fear to the South China Sea"
Using this as a starting point, this Sunday for the full hour we will have returning guest, John Kuehn. Dr. John T. Kuehn is the General William Stofft Chair for Historical Research at the U.S. Army Command and General Staff College. He retired from the U.S. Navy 2004 at the rank of commander after 23 years of service as a naval flight officer in EP-3s and ES-3s. He authored Agents of Innovation (2008) and co-authored Eyewitness Pacific Theater (2008) with D.M. Giangreco, as well as numerous articles and editorials and was awarded a Moncado Prize from the Society for Military History in 2011. 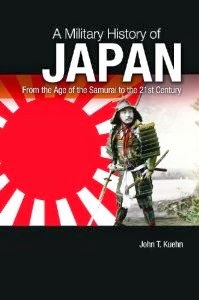 We will also discuss his latest book, just released by Praeger, A military History of Japan: From the Age of the Samurai to the 21st Century. Please join us live at 5pm Eastern U.S. on 12 January 2014 or pick the show up later by clicking here. Every listen is a strike against the Lectroids! As is now well-documented, Somali pirates had an awful 2013 - recording no hijackings. Perhaps they are "lying doggo" waiting for all the naval patrols and armed security teams to go away when the providing states and shipowners decide the cost of maintaining them is too high. Undoubtedly shipping industry adherence to industry Best Management Practices (BMP) has been vitally important, so too has been the reassurance of patrolling navies. However, the single most effective protection and deterrent against pirates has been the widespread deployment of privately contracted armed security personnel (PCASP) onboard vulnerable vessels. Enhanced professionalism within the private maritime security industry has acted as a catalyst for the protection of vessels, and it still remains that no armed merchant vessel has yet been hijacked. Despite successes, piracy clearly remains a danger with pirates still operating, and all stakeholders are urged to avoid complacency. 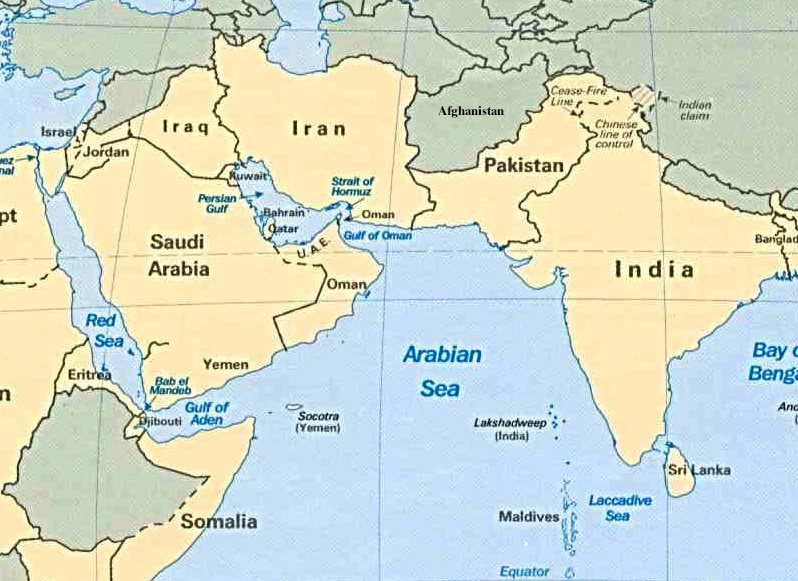 An attempt by pirates to hijack an Iranian oil tanker in international waters was foiled by the timely action of the Iranian warships present in the region. 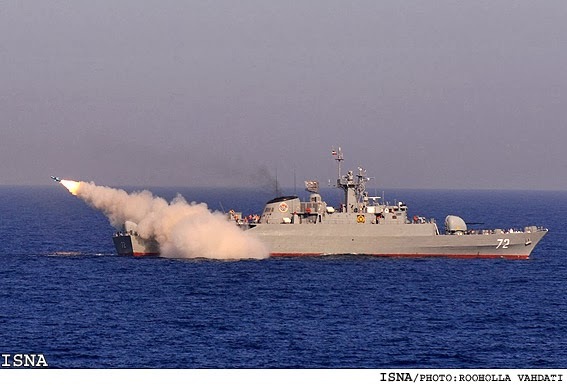 Lieutenant Commander of the Iranian Navy for Operations Admiral Siyavash Jarreh announced on Wednesday that the Navy's 28th fleet of warship saved the Iranian tanker from pirate attacks in the Gulf of Aden. "The Iranian oil tanker was attacked by 12 pirate boats this morning but they failed due to the timely action of the 28th flotilla of warships and the pirates fled the scene," he added. The admiral underlined that the Iranian oil tanker was escorted by the Navy flotilla through the waterway and continued its path towards its destination fully safely. In relevant remarks last month, a senior Iranian commander praised the exceptionally good performance of the country's naval forces for maintaining security to the international waters by escorting thousands of vessels in the high seas. 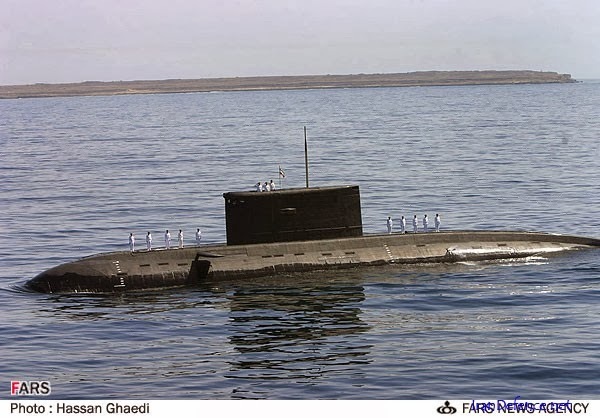 “In the last three years, around 3,000 cargo ships and oil tankers have been escorted by the Navy’s commandos and vessels,” Commander of the Iranian Navy’s Missile Program Admiral Ali Vafadar told FNA in December. It appears the Somali pirates have not disappeared from the seas, instead, they are focusing on Iranian ships in great numbers. I wonder how those "trials" are going . . .
“The 28th Flotilla of this force comprising Alborz warship, Bandar Abbas warship and semi-heavy Younus submarine as well as a 212 combat helicopter berthed at Colombo port, Sri Lanka, after departing from India’s Mumbai port and travelling thousands of kilometers,” Lieutenant Navy Commander for Operations Siyavash Jarreh said on Friday. The pictures show the ships of the "Mighty 28th." They made pretty good time from Colombo to the "Gulf of Aden" traveling all those "thousands of kilometers." A veritable fast task force. 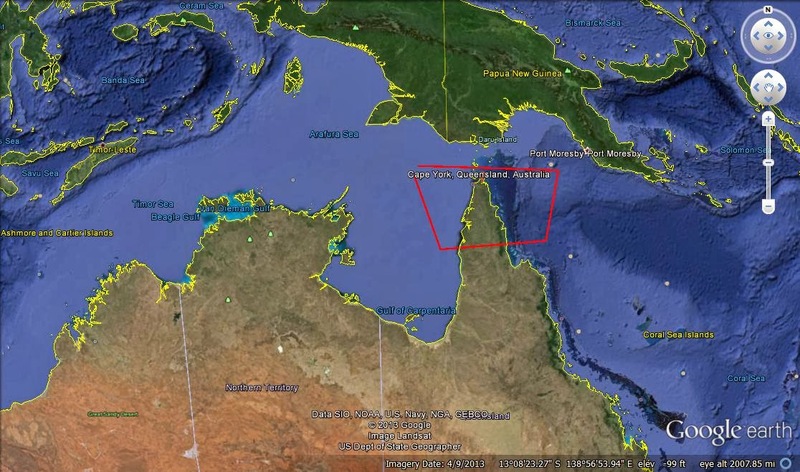 PIRATES are pillaging the tip of Australia's Great Barrier Reef in an illegal fishing blitz backed by Chinese-organised crime syndicates. Thousands of tonnes of marine life including sea cucumber, abalone, turtle and shark have been plundered at levels not seen since fleets of hundreds of foreign fishing boats raided northern waters five years ago. Chinese organised crime syndicates operating out of Indonesia's port town of Merauke in West Papua are understood to be behind the spike in cross-border sorties by mostly PNG locals. The Chinese appetite for their "delicacies" does not make them good people to leave unattended in your near seas. On Midrats Sunday 5 January 14, Episode 209: "Kenya and East Africa with Alexander Martin"
Many continue to focus on the "Pacific Pivot" and/or IndoPac, but the news seems to keep finding its way back to Africa. This Sunday we're going to leave IndoPac and all that in order to focus the full hour discussing the eastern part of Africa with a returning guest Alex Martin who will give us a first hand report from a personal and professional perspective. Alex graduated with distinction from the U.S. Naval Academy and went on to lead infantry, reconnaissance and special operations units in multiple combat deployments. Upon leaving active duty, Alex started a private maritime security company that served commercial shipping interests in the Indian Ocean. In July 2013 Alex joined Nuru International and currently serves as a Foundation Team Leader in Kenya. The last time we talked to Alex was shortly after he and his Marines were involved in retaking a ship from Somali pirates. Join us live if you can (or pick us up later if you can't) by clicking here. 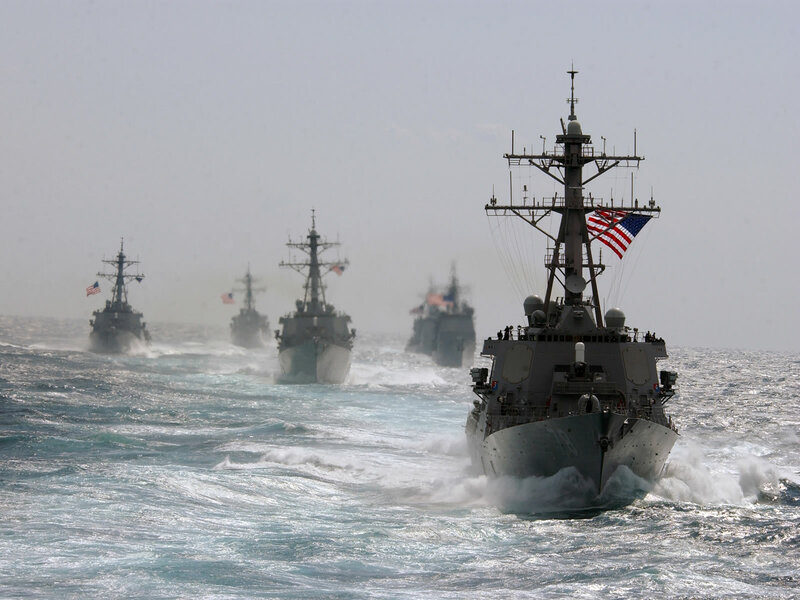 Citing a series of technological breakthroughs, Navy leaders announced plans Apr. 8 at the Sea-Air-Space exposition to deploy for the first time a solid-state laser aboard a ship in fiscal year 2014. "Our directed energy initiatives, and specifically the solid-state laser, are among our highest priority science and technology programs. The solid-state laser program is central to our commitment to quickly deliver advanced capabilities to forward-deployed forces," Chief of Naval Research Rear Adm. Matthew Klunder said. "This capability provides a tremendously affordable answer to the costly problem of defending against asymmetric threats, and that kind of innovative approach is crucial in a fiscally constrained environment." The announcement to deploy the laser onboars USS Ponce (AFSB[I] 15) comes as Navy researchers continue to make significant progress on directed energy weapons, allowing the service to deploy a laser weapon on a Navy ship two years ahead of schedule. The at-sea demonstration in FY 14 is part of a wider portfolio of near-term Navy directed energy programs that promise rapid fielding, demonstration and prototyping efforts for shipboard, airborne and ground systems. "Our conservative data tells us a shot of directed energy costs under $1," Klunder said. "Compare that to the hundreds of thousands of dollars it costs to fire a missile, and you can begin to see the merits of this capability." Ponce is an interesting choice, n'cest pas? Corbett: Some Principles of Maritime Strategy. This link and the next two are to free electronic versions at Project Gutenberg. Formats include Kindle. The on-going naval discussion over the "dispersed force" concepts of Corbett and the theories of Mahan color our world today. The Influence of Sea Power Upon History, 1660-1783 by A. T. Mahan. I would couple this with B.J. Armstrong's 21st Century Mahan: Sound Conclusions for the Modern Era because Mahan can be tough sledding and BJ has done a nice job dishing up the best bits. But you should still read the original. Wired for War: The Robotics Revolution and Conflict in the 21st Century by Peter W. Singer. If drones are the next RMA, this is a good book to start looking at it. The Guns of August by Barbara Tuchman. If you ever want to study how back into a war, this is a great read. The Zimmermann Telegram, Barbara Tuchman's other great book about WWI, as the Amazon blurb puts it,"The Zimmermann telegram was a top-secret message to the president of Mexico, inviting him to join Germany and Japan in an invasion of the United States." "The Liberation Triology" by Rick Atkinson which consists of An Army at Dawn, The Day of Battle and The Guns at Last Light. WWII war in Europe. This Kind of War by T.R. Fehrenbach. Korean War. Has the great line, "Americans in 1950 rediscovered something that since Hiroshima they had forgotten: you may fly over a land forever; you may bomb it, atomize it, pulverize it and wipe it clean of life—but if you desire to defend it, protect it and keep it for civilization, you must do this on the ground, the way the Roman legions did, by putting your young men in the mud. ” We seem to have trouble remembering this "rediscovery." Neptune's Inferno: The U.S. Navy at Guadalcanal and The Last Stand of the Tin Can Sailors: The Extraordinary World War II Story of the U.S. Navy's Finest Hour by James Hornfischer. Excellent books about epic sea battles and some very brave men. 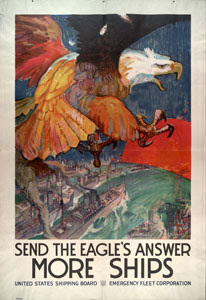 Once an Eagle by Anton Myer. Yes, it's a fictional Army book, but it's about leadership and character. It's a really thick paperback, but now there is a Kindle edition. Yes, it is a little black and white in its depiction of a warrior versus a bureaucratic staff weasel. Well, sometimes life in the military is like that. 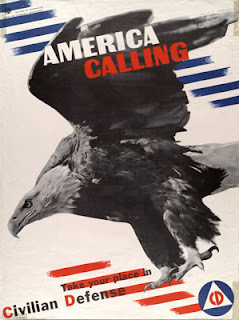 Catch-22 by Joseph Heller. In great war machines, people get caught in the gears. There is no more cynical and realistic look at that situation than this book. I am biased - on one of my ships, my ball cap had "Yossarian" embroidered across the back. But, hey, everyone owns a share. Lessons from the Hanoi Hilton: Six Characteristics of High Performance Teams:. Character, leadership and courage. This time in real life by real heroes. The only book I gave as gifts for Christmas. I could on and on, but that's a start. Add your suggestions to the comments.